World Rally eXperimental Subaru Tecnica International is a very long and wordy way of saying blue rally car with gold wheels. 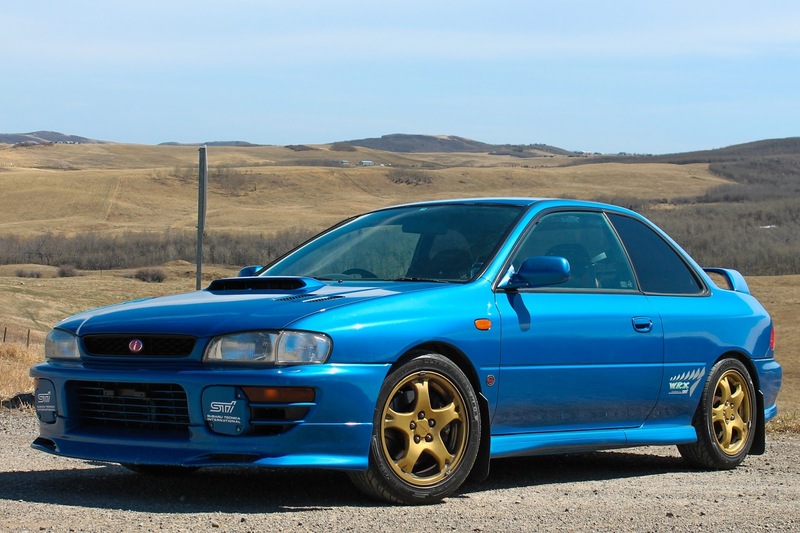 The now infamous Subaru WRX STI marked Subaru's transition from being the oddball ride of choice for hippies in Oregon to being a true performance car leader. And while the STI went on to become more powerful and capable in later years, many still believe that the STI's first album was their greatest hit. These early WRX's, known by their chassis designation as GC8's to Subie lovers, were far and away the most popular car at last winter's ice races and an extended rip through some twisty backroads in David's pristine JDM spec 1998 Subaru WRX STI leaves no doubt as to why. 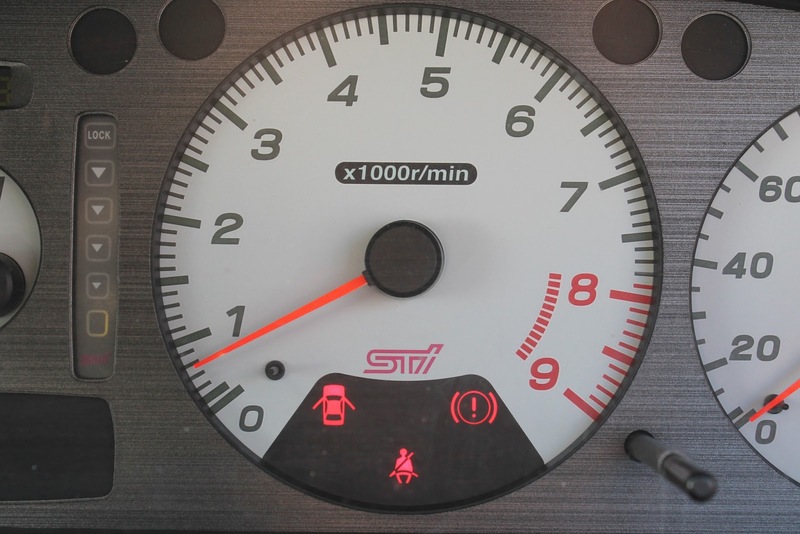 The STI is an astonishingly complete performance package. It accelerates as fast as any twin-turbo Japanese monster from the '90's thanks to its substantial turbo and insubstantial weight. An impressive redline for a stock turbocharged engine. 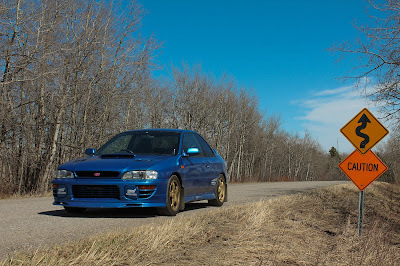 But where the GC8 STI really impresses is with its agility. Even on the rough and crumbling surface of our rural road, the Subaru remained sure footed and planted even through turns with radical camber and elevation changes. On a pitted backroad, there's not much out there at any price-point that can touch one of these. There's little doubting the STI's provenance. This was well proven during the WRX's dominant early rally history. Piloted by legends including Colin McRae and Carlos Sainz, the WRX and the STI variant especially became rallying icons. From the driver's seat the STI feels purposeful. 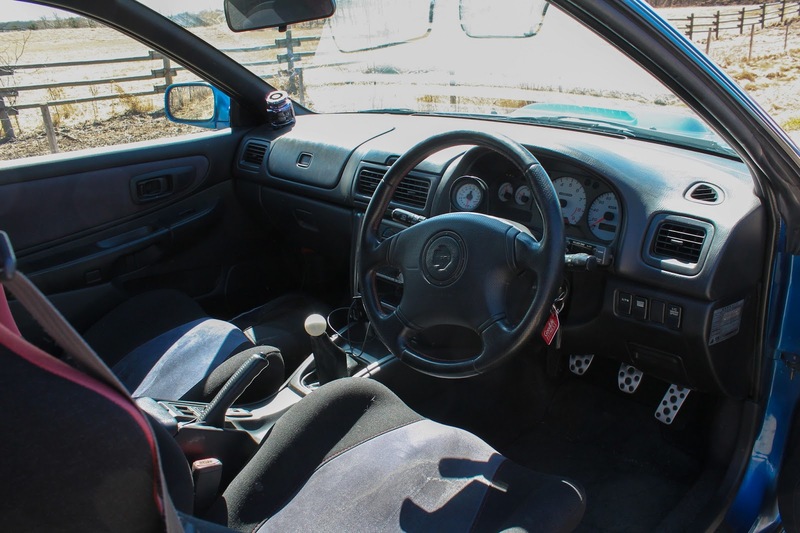 Sitting in some incredibly supportive and comfy seats, the large, white-faced tachometer sits directly in front of the driver as his (or a very cool her) feet rest on drilled aluminum pedals. It just feels special. The STI devours twisties. Caution be damned! The STI comes from a time when Japan was at its peak. Their cars were enjoying unprecedented popularity on the streets of North America as well as on race tracks around the world. It's nice to know that even 15 years after it was manufactured, the STI is still one of the sharpest tools you can buy to carve rally corners.